I want to recommend a few of my favorite books to help you learn more about aromatherapy and how it can impact you and your family's health. The first one is Aromatherapy for the Healthy Child, by Valerie Ann Worwood. I love this book, and use it often. Click HERE to check out the table of contents. The second book I recommend is also by Valerie Ann Worwood. The Complete Book of Essential Oils and Aromatherapy is a necessary resource for anyone interested in alternative approaches to healing. This book contains more than 600 easy-to-follow recipes for essential oil treatments and aromatherapy. Essential Oils Pocket Reference, compiled by ESP, Is the most thorough and amazing guide to Aromatherapy. It is best for someone studying aromatherapy or health professionals using it in their existing practice. This handy portable reference guide lists oils, their medical properties, uses, historical data, and much more. It even lists the extraction methods used for each oil. The companion book, Essential Oils Desk Reference, is even more amazing, due to it's full color pictures and color coded tabs. It is very easy to find the information you are looking for. I use these books daily. They are very wonderful, and helpful, to have in your bookshelf. Aromatherapy for Women and Children by Jane Dye, is a great resource. It is a comprehensive guide to using Aromatherapy for your family's health and well being. It has a great section on pregnancy, with an easily accessible alphabetical section. Aromatherapy for Healing the Spirit: Restoring Emotional and Mental Balance with Essential Oils, by Gabriel Mojay, is the first aromatherapy guide to synthesize Eastern and Western approaches to restoring emotional and mental health. • Explains the esoteric and energetic healing properties of 40 essential oils to help restore balance to the body and psyche. 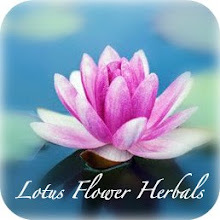 • Provides help for a wide range of common emotional and mental complaints. • Includes full-color illustrations to guide readers through the massage and acupressure sequences. In this unique synthesis of Eastern and Western healing approaches, Gabriel Mojay combines the practice of aromatherapy with the wisdom of traditional Chinese medicine. Mojay explains the esoteric and energetic healing properties of 40 essential oils and shows how they can be used to manipulate qi, the body's vital energy, to stimulate healing from negative emotional and mental states. Some forms of nervous tension, for example, are caused by stagnant qi energy, which can be released with essential oils. Aromatherapy for Healing the Spirit provides help for a wide range of common emotional and mental complaints--including depression, low energy, lack of concentration, poor memory, anxiety, and low self-esteem. Easy-to-reference charts and full-color illustrations teach simple aromatherapeutic massage and acupressure techniques that restore balance to the body and psyche. I use this book daily. It somehow never makes it back into the bookcase. These are just a few of the amazing books on Aromatherapy that I have on my bookshelf. A good place to look for books is Essential Science Publishing. Amazon also has great deals in their used book section. Aromaweb also has a list of 15 great books on Aromatherapy. Happy reading!